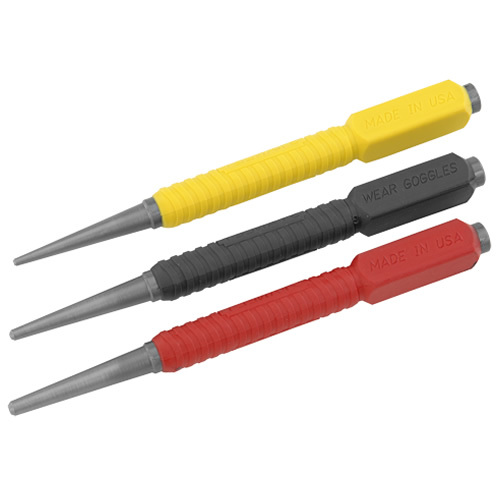 3 Piece nail punch set with a comfortable dynagrip sleeve surrounding a fully hardened body, precision milled for extra long life. 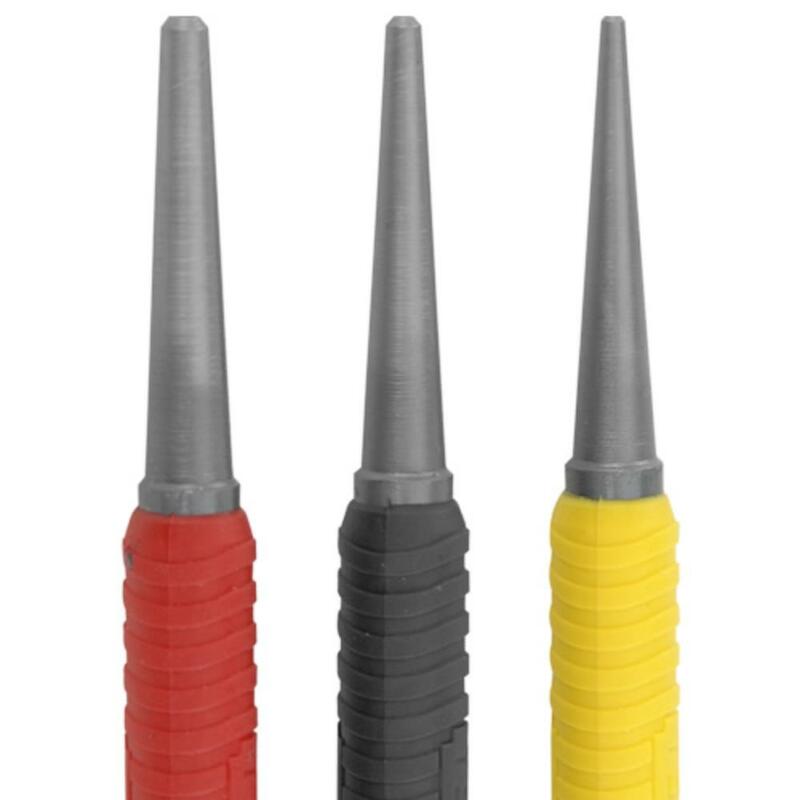 Cupped tip for easy alignment, induction heated treated for safety and improved performance. Punch handles are colour coded for easy size indication, the over-moulded grip helping to dampen vibrations and reduce slipping during use. The overall length is 25% longer then conventional nail punches, making it easy to set nails in hidden and hard to reach places. Includes tip sizes 0.8mm/1/32", 1.6mm/1/16" & 2.4mm/3/32"
"Great valve for money "